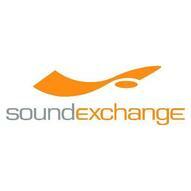 For SoundExchange members based in Houston and throughout the Gulf Coast, SoundExchange wants to make sure you receive your royalties in this time of tragedy. “Our next royalty distribution will be made in late September. If you currently receive your SoundExchange royalties via physical checks, you can update your account so we can send you your royalties via Direct Deposit. We hope this makes it easier for you to access your royalties at this difficult time. To update your account, please complete our Direct Deposit form. “We will also need either a voided check OR a bank authorization letter. If you use a bank authorization letter, the bank authorization letter should be on bank letterhead with your account information (routing number and account number). It should indicate the name on the account, and be signed by a bank official.